The food in Tekong was not the best that I’ve had. Midnight cravings of a hearty bowl of laksa or a fragrant plate of nasi lemak weren’t uncommon for the island-bound soldiers. For me, food is a source of morale and encouragement. Thus, scouring for food around Tekong after book outs were a necessity. That said, they have to be cheap — I mean, recruits don’t get that much money. 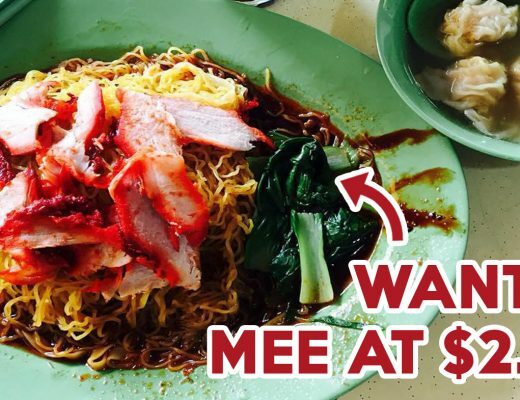 Well, here are my top 10 places for cheap and good food near Tekong . 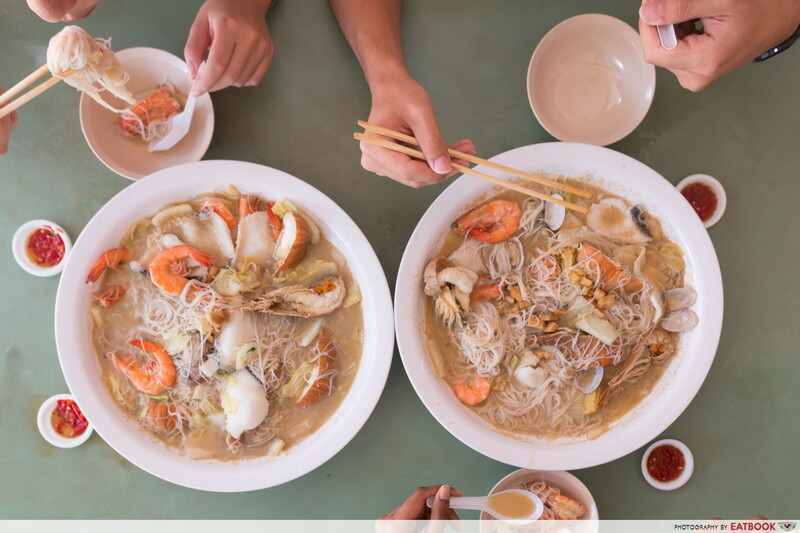 Swimming in thick luscious seafood soup are the mounds of seafood and bee hoon. The Seafood Platter ($30) at Woon Woon Pek Bee Hoon is big enough for three and features a rich stock that tastes fresh and aromatic. That’s because their trove of seafood is replenished daily, making it an amazing spot to bring your seafood-loving buddy and section mates. Check out the full review of Woon Woon Pek Bee Hoon! 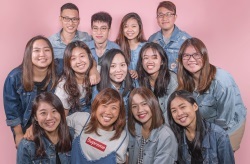 Pranakorn serves authentic and affordable Thai cuisine. 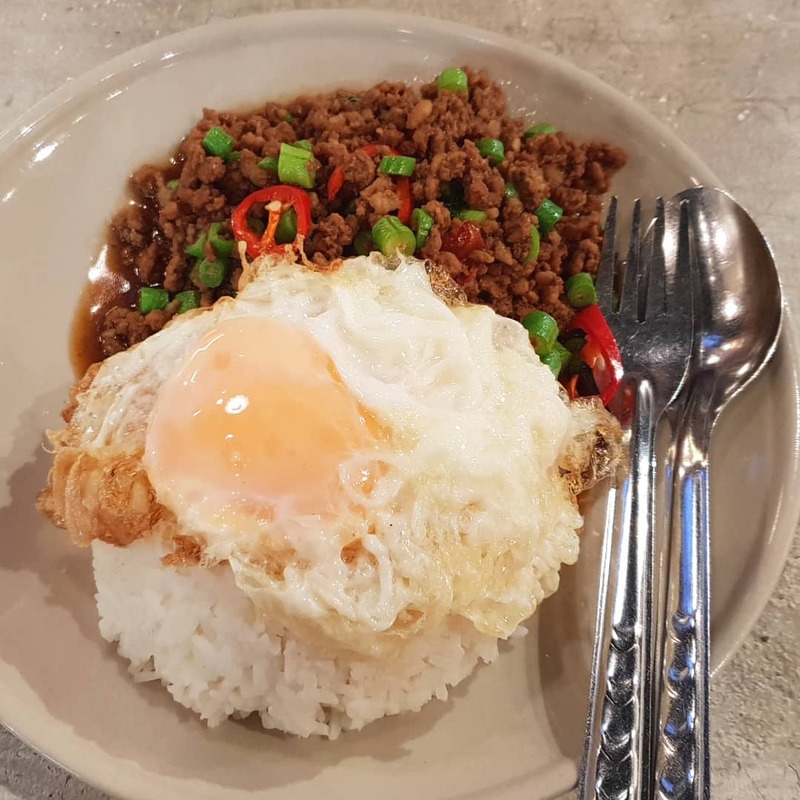 For a hearty meal, get their Minced Pork with Fried Egg ($6.80). The spicy minced pork can be easily mixed into the rice, making each mouthful extra flavoursome. Even the fried egg is done to perfection, with a slightly runny yolk and golden brown edges. Wash everything down with a refreshing cup of Thai Iced Black Tea ($2.50) that is nicely balanced with bitter and sweet notes. Despite being secluded, Big Prawn Noodles sports snaking queues of hungry people, and it’s easy to see why. 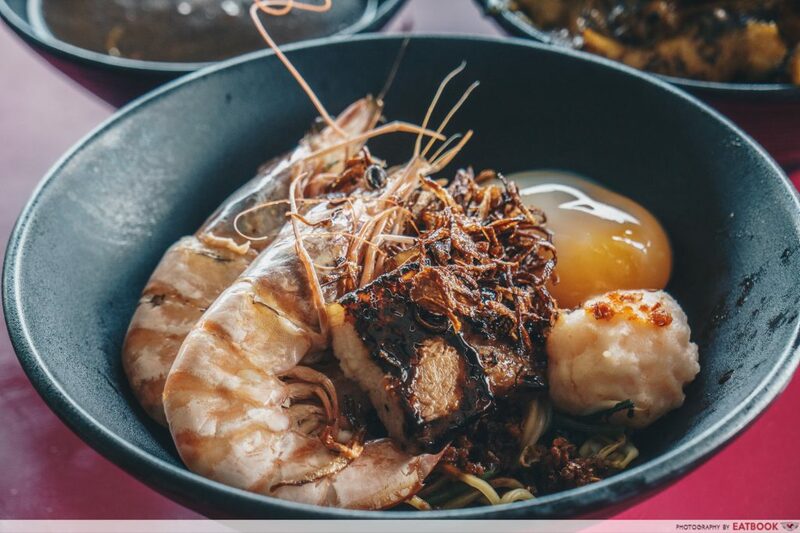 Their Big Prawn Noodle ($5/$7/$9) has a mix of thin bee hoon and yellow noodles, packed in a huge bowl brimming with a thick orangey broth and generous amounts of big prawns. The Pork Rib Prawn Noodle ($5/$7/$9) features a lean cut of pork rib that marries well with the rich broth. Speckles of shallots also provide bursts of texture and elevate the flavour of the dish. 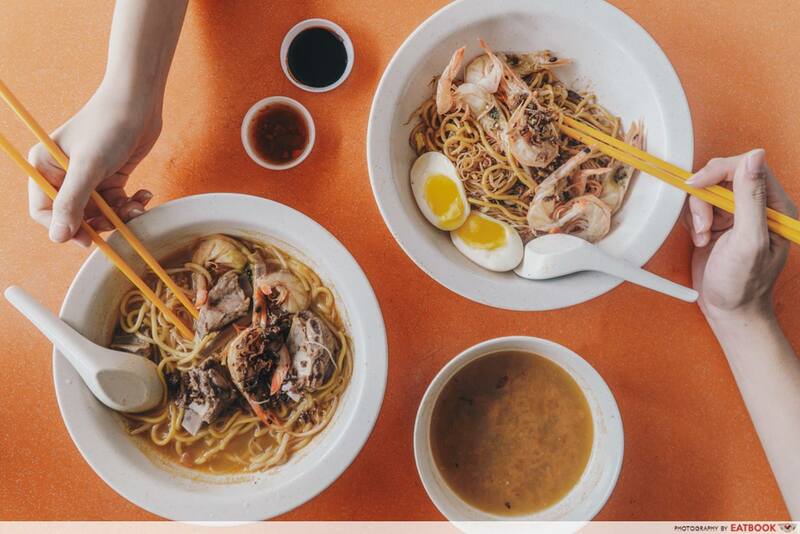 Check out our full review of Big Prawn Noodles! 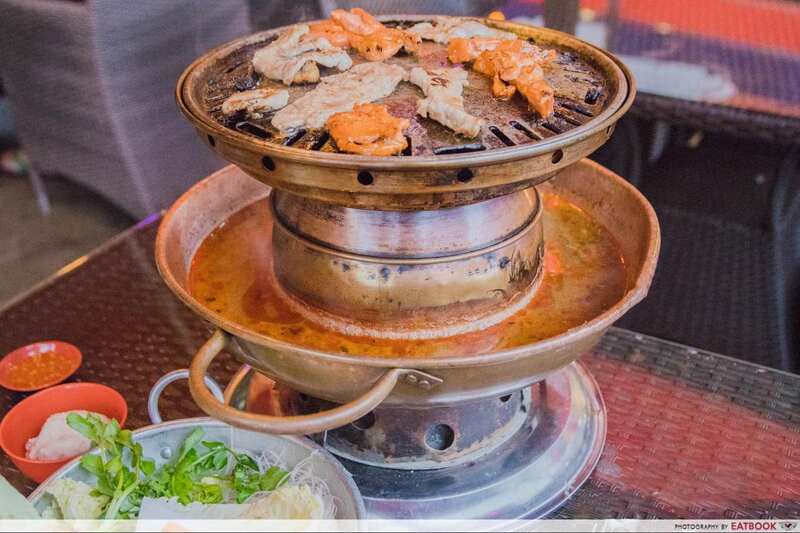 555 Villa’s UFO Pot Set features a two-tier pot with a grill and ring of soup, each heated over burning charcoal. At $59++ for two people, you’ll get a tray of fresh seafood, marinated meats, and a plate of noodles and greens. We recommend getting the Tom Yum Soup as a base. It’s salty whilst having a lingering sweetness, culminating in a mild heat at the back of your throat. Check out our full review of 555 Villa! Tekong Seafood Restaurant is tucked in the heart of Changi Village. They are perfect for a celebratory book-out meal. 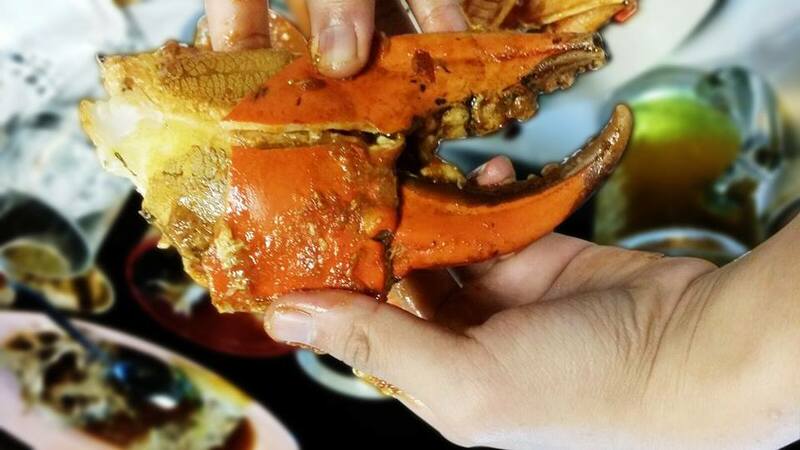 Their Chilli Crab ($6.80+/100g) has a rich sauce that seeps into the flesh of the crab. Opt for a plate of crispy mantou to mop up the luscious crab juices. 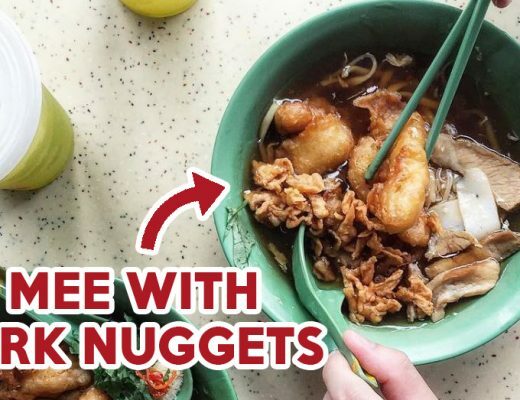 Mani Cai 马尼菜 ($12+) is Tekong Seafood’s signature dish. It is a mesh of spinach and egg, steamed in a light fragrant stock. A sprinkle of fried ikan bilis adds texture and a slightly salty kick to every bite. Do note that the prices for seafood are seasonal and may differ when you are there. 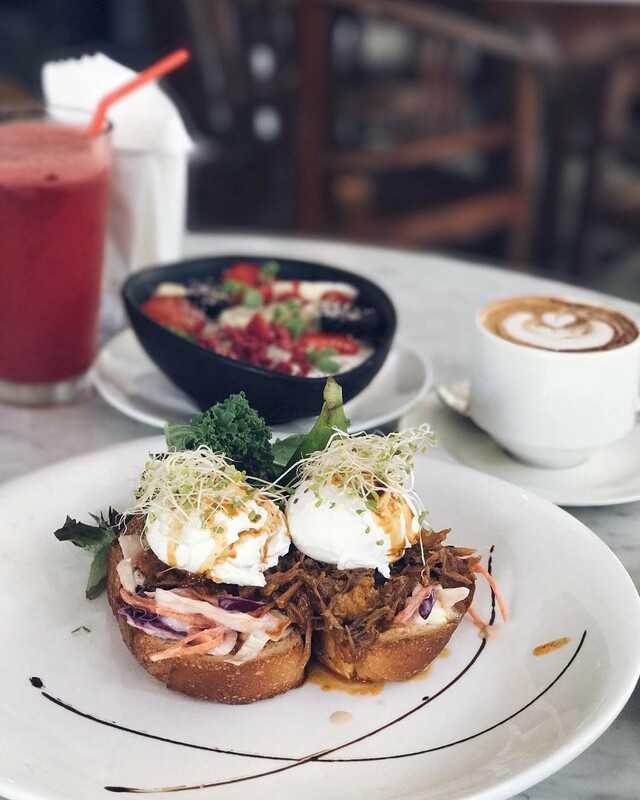 Boasting old-school vibes with music of the ’70s playing in the background, The Coastal Settlement provides a quaint and rustic ambience. The food here, however, has a modernist and contemporary twist. Their Eggs Benedict ($17) is a great café favourite. Poached eggs sit atop a nest of unctuous pulled pork and fresh slaw. A cut through the egg sends the dark orange yolk oozing out, enveloping the dish in a gorgeous yellow sheen. A great thing about this spot is how there’s an abundance of parking slots. One can easily find a place to park their vehicles. Any good listicle on food in the far east would be amiss if International Muslim food stall Nasi Lemak was not mentioned. This stall attracts loyal patrons, ranging from office workers to army enciks. 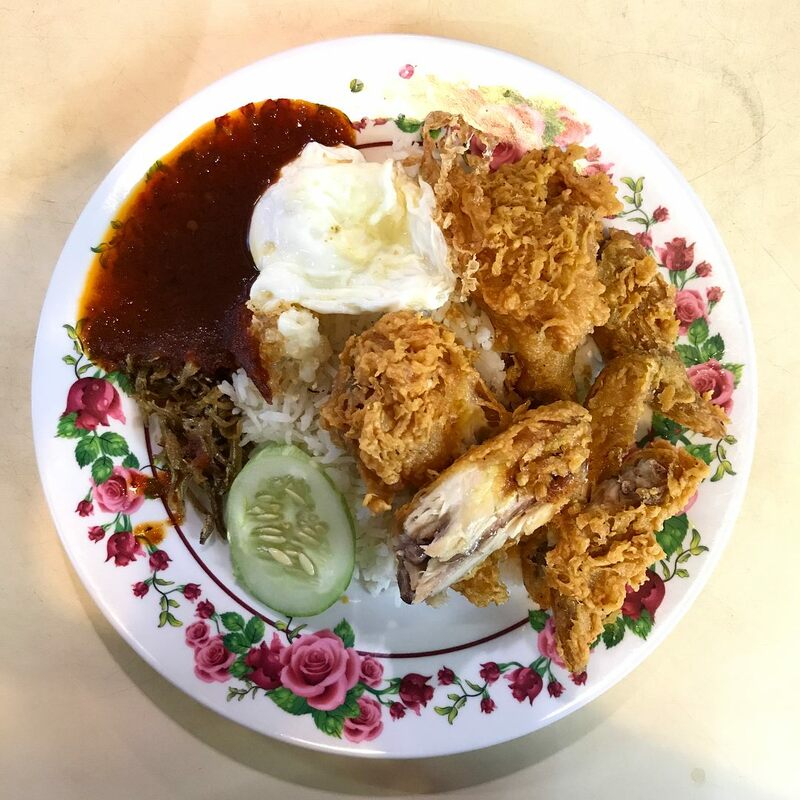 A crowd favourite is the Nasi Lemak Chicken Set ($3.50). The fried chicken is crispy and succulent, with notes of ginger spice in the marinade cutting through the oil and grease. Like any good nasi lemak, the rice is also fragrant and fluffy. 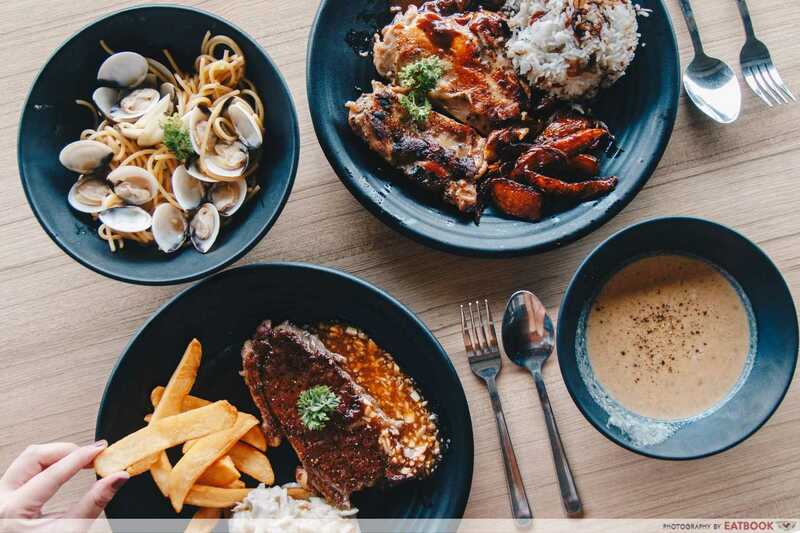 At just $5.70 for their Grilled Chicken with Mushroom Sauce, Wild Olives is a wallet-friendly place for any recruit. The gorgeous char of the chicken smothered in fragrant mushroom sauce is definitely much better than your cookhouse grub. The NZ Sirloin steak ($10.90) is also worth a shot. It’s juicy and succulent, pairing well with some sauce served on the side. Check out our full review of Wild Olives! Featuring a rich prawny sauce, the taste of prawns perfume Prawnaholic’s dry King Prawn Noodles ($8.50). A melange of pork lard, chilli bits, torched kurobuta pork and succulent king prawns makes this dish explode with flavour. Their soup-based Special Prawn Noodles ($6.50) has an intensely dark prawn broth overflowing with yellow noodles. It’s paired with two huge prawns, a handmade prawn ball, and pieces of caramelised kurobuta pork. Check out our full review of Prawnaholic! The burgers at Burgernomics are aesthetic and scrumptious. 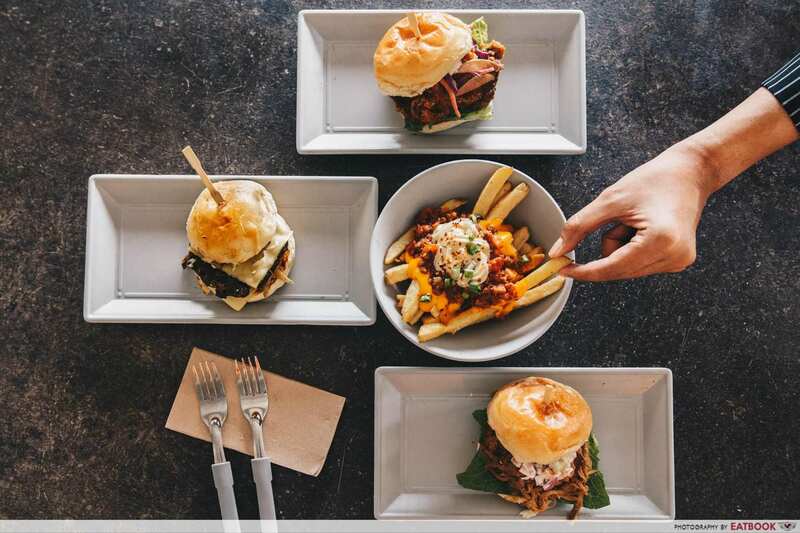 For example, the Deluxe Burger ($6.50) features a caramelised beef patty blanketed with blow-torched cheddar cheese. The buns are slathered with truffle aioli and slabbed with caramelised onions atop sautéed mushrooms. Their Crispy Chicken Burger ($6.50) is also worth a try. A piece of chunky deep-fried chicken sits atop a bed of lettuce, topped with crisp red cabbage slaw. Check out our full review of Burgernomics! Burgernomics is a Muslim-owned eatery. Yes, NS food really isn’t that great. The endless chicken drumsticks cooked in five ways get boring. Having a great book out is thus so important. 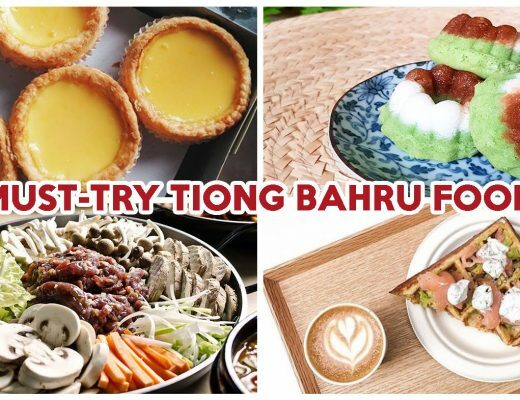 For more ideas on where to eat near Tekong, you can check out our comprehensive guide on Changi Village or Pasir Ris. Alternatively, If you would rather a cute café haunt, you can try ARTEA, or A Summer in Paris.